Sigmund Freud wrote about the wrong methods by which people try to avoid suffering and obtain happiness. As soon as one’s dreams start getting destroyed by reality, there emerges a variety of possible ways to escape from the conscious perception of pain. Spiritual delusions are one possibility. The intensive use of television and drug-addiction are two other choices. Political and religious ideologies also offer many self-delusional possibilities. The common ground to all escapes from reality is that they postpone the unavoidable task of combining a process of self-knowledge and self-transformation with altruistic practices, and a feeling of unconditional respect for all beings. What if people’s unrealistic dreams about reality are shared by others? Conventional religions usually ignore the presence of a common truth in the different mystical traditions, and deny the existence of a universal wisdom that transcends sectarian forms of religiosity. Though using different words and concepts, both Psychoanalysis and the original teachings of modern Theosophy make an effective unmasking of the superficial and authoritarian character of most conventional creeds. Russian philosopher Nicolas Berdyaev (1874-1948) helps in the same task. When during the 19th century the influence of materialism expanded in our civilization, Marxism became popular as a philosophy. Left-wing thinkers dreamed that human beings don’t need to purify themselves, learn some wisdom and ethics or undergo an inner transformation. They thought it was enough to “change the world” and above all “change the others”, for “when everyone thinks like us, humanity will be happy at last”. More than one church and sect tends to nurture similar thoughts. Well-intentioned social-liberals and left-wing citizens often think of themselves as true angels of peace. Their views have one or two fundamental points in common with classic Marxism, in that they see no need for human beings to improve themselves. The psychological diseases of selfishness, envy, hatred and aggression deserve no attention. Economic capitalism is the sole problem: all that people need in order to be eternally happy is a change in economy. Every human being is therefore essentially an angel according to Marxism. No need of self-reform: it is enough to eliminate the system of private property of means of production for humanity to attain the celestial heights. Western social-liberals of course reject communism. They sincerely rephrase the same idea in more modest ways, and say that all we need is better salaries everywhere. It is easy to see in our century that indulgence in personal habits and the destruction or fragility of family do not pave the way to heaven and to harmony in social relations. Yet in self-indulgence and similar matters the political Left is far from being the sole responsible for human mistakes and social decay. Politically conservative thinking suffers from its own varieties of delusion. One of them is money-worship, a religion whose priests are bankers, and which has many a politician as its employee. A significant right-wing delusion is in the idea that poor people and millions of honest workers can be treated with disrespect, paid low salaries or kept in unemployment while the financial elite behaves in irresponsible ways. Self-indulgence in financial crimes, big and small, and deliberate falsehood in political life are familiar to both “liberals” and “conservatives” around the world. Of course millions of decent citizens support a variety of political parties around the world, and religious organizations of all kinds. Still the way to heaven is not in joining narrow-minded religious sects, or attempting to make the reform of the world through conventional politics, war, or social movements. The path to celestial heights is within. The temple is invisible. It exists in one’s soul. Living in harmony with the sky begins with understanding the neurotic mechanisms of mutual hatred and ignorance. It is worse than useless to project onto others the responsibility for our own psychic suffering, or the duty of making us happy. A firm sense of self-reliance and the decision to keep free from the habit of blaming others are two helpful factors along the way to heaven. Freud says that “it is always possible to unite considerable numbers of men in love towards one another, so long as there are still some [men] remaining as objects for aggressive manifestations”. In other words, humans are fond of using other humans as scapegoats, and such negative feelings are often mutual. In the Middle East and around the world, however, this sort of neurotic competition does not have to take place through murder, war or terror. Once anti-Semitism, anti-Zionism, Islamic terror and similar hatred-based ideologies are defeated, hopefully once and for all, there are more convenient forms of satisfaction for human aggressive tendencies. Sports is but one of them. The Psychoanalyst then added that this is a comparatively harmless way to deal with the problem of collective aggressiveness. Freud was right, and perhaps he was prophetic. In a future that one probably ought to keep unspecified, moderate jokes and respectful ridicule hopefully will turn out to be the densest forms of conflict among human individuals and social groups. Laughing at our own mistakes is also a healthy thing to do, and perhaps more useful than laughing at our neighbours. “Civilization and Its Discontents”, by Sigmund Freud, part II. See “The Major Works of Sigmund Freud”, Great Books of the Western World, Encyclopaedia Britannica Inc., 884 pp., 1952, p. 774. “The Destiny of Man”, Nicolas Berdyaev, Harper Torchbooks, Harper & Brothers, New York, 1960, 310 pp., see pp. 160-161. The book is available in our associated websites. “Civilization and Its Discontents”, by Sigmund Freud, part III. 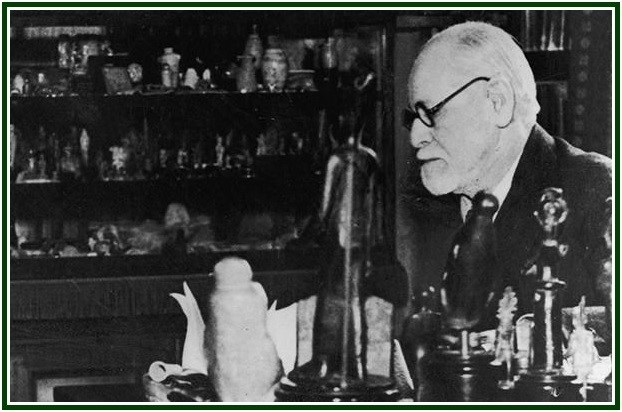 See “The Major Works of Sigmund Freud”, Great Books of the Western World, p. 786. “Civilization and Its Discontents”, by Sigmund Freud, part III. See “The Major Works of Sigmund Freud”, Great Books of the Western World, pp. 787-788. “Civilization and Its Discontents”, by Sigmund Freud, part III. See “The Major Works of Sigmund Freud”, p. 788. The above text was first published on 10 April 2017 in our blog at “The Times of Israel”. Read also in our associated websites the article “A Psychoanalysis of Religions”. In September 2016, after a careful analysis of the state of the esoteric movement worldwide, a group of students decided to form the Independent Lodge of Theosophists. Two of the priorities adopted by the ILT are taking lessons from History and building a better future.